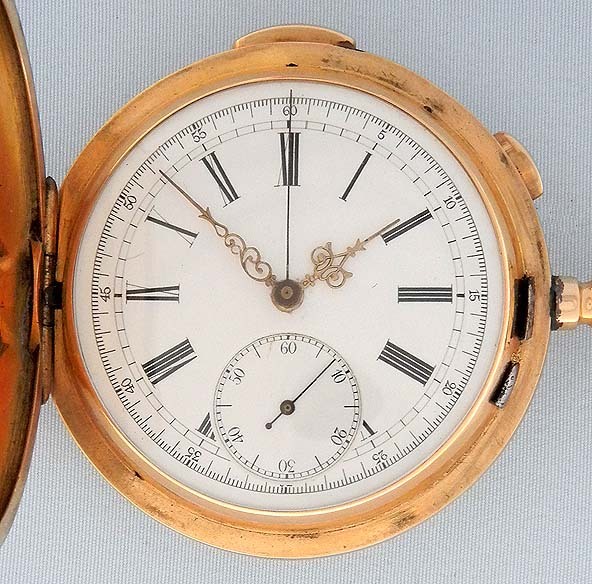 Good Swiss 18K gold Swiss minute repeater chronograph circa 1890. 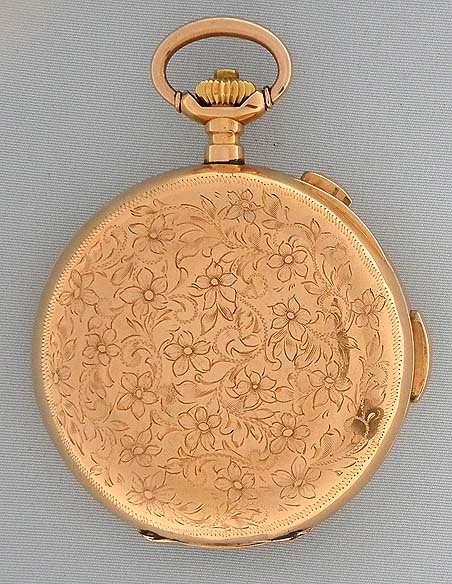 The case beautifully engraved with finely detailed flowers and a blank shield. White enamel dial with black numerals and blued steel and fancy gold hands. 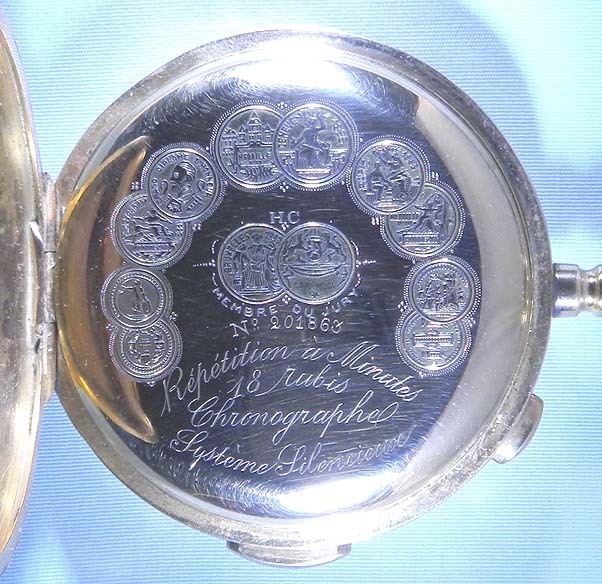 The dust cover with movement details and medals won. 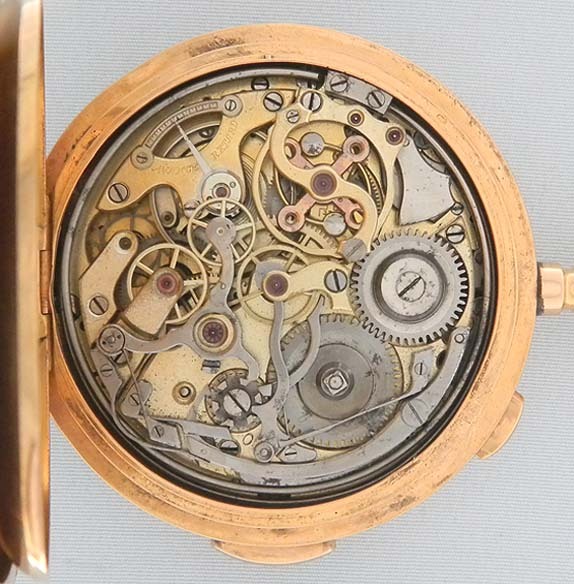 Gilt movement with silent governor and the chronograph works on the back. 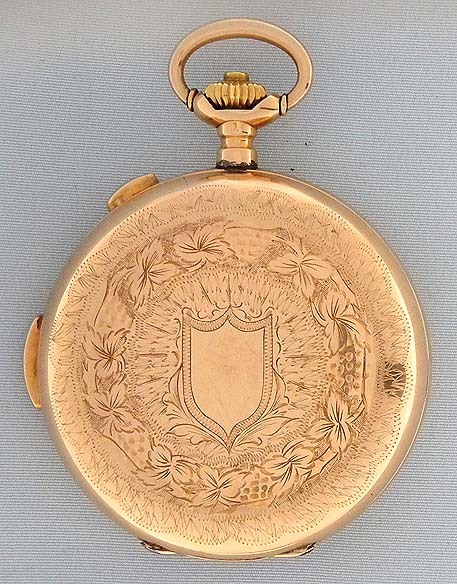 The engraving on this case is particularly sharp and crisp.